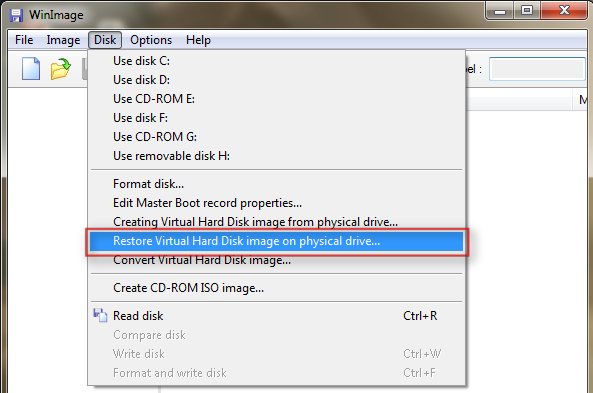 In this short tutorial you’ll learn how to create an ESXi USB Key. After installing the tools we need to extract the *.dd file. 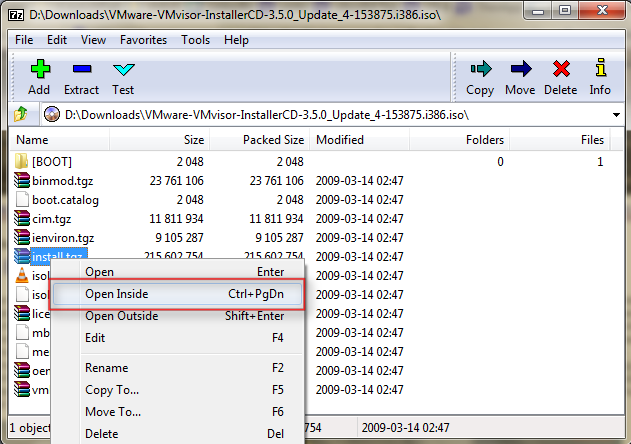 Open the VMware-VMvisor-InstallerCD-3.5.0_UpdateX-XXXXXX.i386.iso with 7-Zip. Right click on install.tar and press Open Inside. Remember the Ctrl+PgDn shortcut. 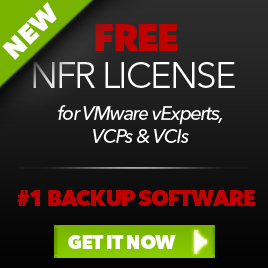 Open usr\lib\vmware\installer. 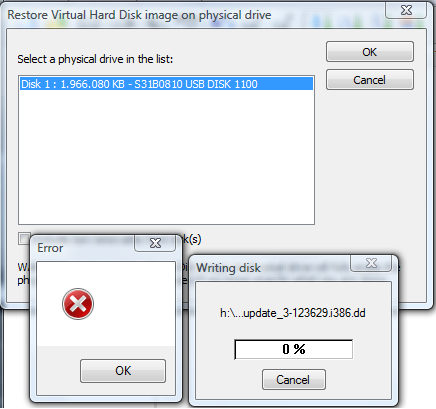 Select VMware-VMvisor-big-3.5.0_Update_4-153875.i386.dd.bz2 and press Ctrl+PgDn again. Now we have the *.dd file and we can write it back to an USB Key. Select the USB Key. In my case it’s a SanDisk Cruzer. Open de *.dd file and answer Yes on the LAST WARNING. When the wizard completes without an error. The USB Key is ready to use. If someone knows a solution for this problem please leave a comment. If you run this tutorial on a Windows XP machine, it will work as expected. 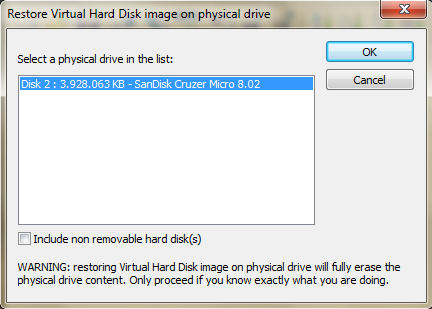 This entry was posted in VMware and tagged ESX 3i, howto, USB Key on May 5, 2009 by afokkema. In this post you’ll find the information you need, to update your ESX3 i host without the VMware Update Manager. When you install the VI Client, the software installs Infrastructure Update. Infrastructure Update lets you learn about, download, and install maintenance and patch releases, which provide security, stability, and feature enhancements for VMware Infrastructure. Infrastructure Update downloads available updates. The downloads are background tasks and do not disrupt normal operation. The update service does not install updates for you. Instead, the update service displays a list of available updates that you can choose to install. When new updates are available, the system tray icon for Infrastructure Update displays a notification. The notifications appear only if you keep automatic update notifications enabled. Open the VI Client. Logon to your ESX 3i server. Close the VI Client. Go to Start –> Programs –> VMware and open VMware Infrastructure Update. 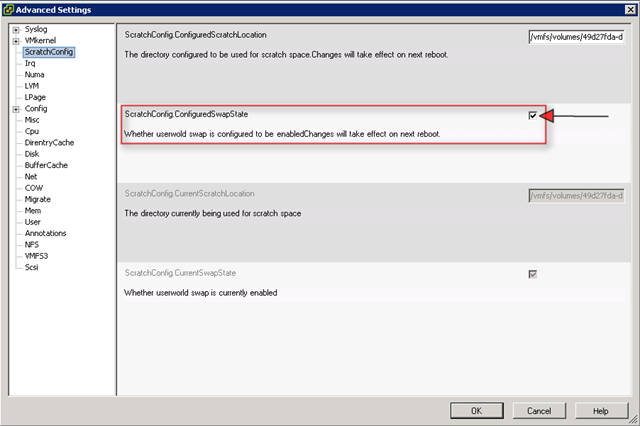 This entry was posted in VMware and tagged ESX 3i, Infrastructure Update, VUM on March 30, 2009 by afokkema. Jeej, we hoeven niet meer in de pdf’s te zoeken. Sinds kort heeft VMware een zoekfunctie op de site geplaatst. The new online compatibility guide provides a single point of access for all VMware hardware compatibility guides. The new search tool streamlines the HCL posting process and offers advanced search capabilities and the ability to save the guide(s) or search results in a .PDF or csv format. 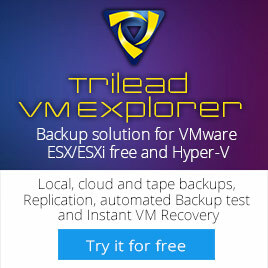 This entry was posted in Virtualization, VMware and tagged ESX 3.0.x, ESX 3.5, ESX 3i, VMware on December 11, 2008 by afokkema.